I am on a train with my acquaintance couple. The couple sat on the seat and I stand. Mrs has a strangely slender smartphone. It projects elongated objects on the screen. Shocking pink color like Shoehorn. It looks like a small full-length mirror. 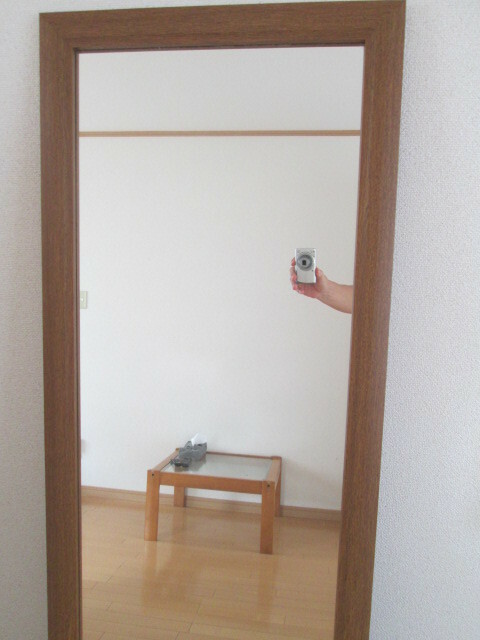 Actually, it may be used as a full-length mirror. and I also sit on the seat.